Researchers with the University of Miami’s School of Medicine found that a compound from Aloe vera could reduce the symptoms of Alzheimer’s disease and even increase cognition scores. 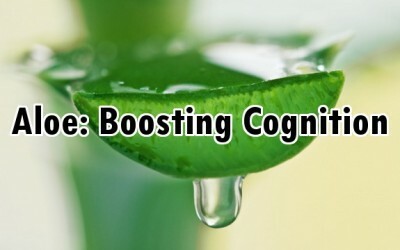 The study was published in the Journal of Alzheimer’s Disease and established participants who received a supplement of aloe polymannose for a period of one year say significant improvements. Forty-six percent of the study participants experienced improvements in their cognition. Also, several inflammatory factors were reduced in the participants. These factors paired with reduced cytokines are related to a reduction in neuro-inflammation which could trigger Alzheimer’s disease and/or it’s symptoms. Best of all, unlike Big Pharma solutions, the Aloe product didn’t have side effects. The research involved a supplement called BiAloe, created by Lorand Laboratories who is no doubt looking to make a profit. It’s always important to keep in mind who is funding the research. However, the health benefits of aloe vera are well established and the research into its effects on Alzheimer’s is promising. Alzheimer’s disease affects an estimated 5 million Americans. It is the 6th leading cause of death in the country and one-in-three seniors will die while suffering from the disease. Generally, Alzheimer’s treatment is limited to popping Big Pharma solutions that may or may not alleviate the anxiety and stressors of the disease, without actually changing the condition itself. But a new study indicates a solution could be as close as your potted aloe plant. Other recent research has linked the use of Aloe vera in the treatment and prevention of skin cancer. According to researchers with the University of Belgrade School of Medicine, compounds within the aloe can stop the proliferation of cells associated with skin cancer. That is great about your mom! Can you tell me which brand of APMC that you used? I had my mom take three capsules of APMC 500 used in the study (opened and sprinkled on yogurt) twice a day. After one week she was walking instead of needing a wheelchair and playing the piano. She was sleeping through the night where as before she would try to get up and fall. She can now have a conversation where as before only mumbled. I wanted to share this product and hope others who have loved ones with Alzheimer’s might see the same results. Is this a chemical found in aloe that has to be extracted and then made into a drug or can you just start ingesting whole leaf aloe and get the same results?